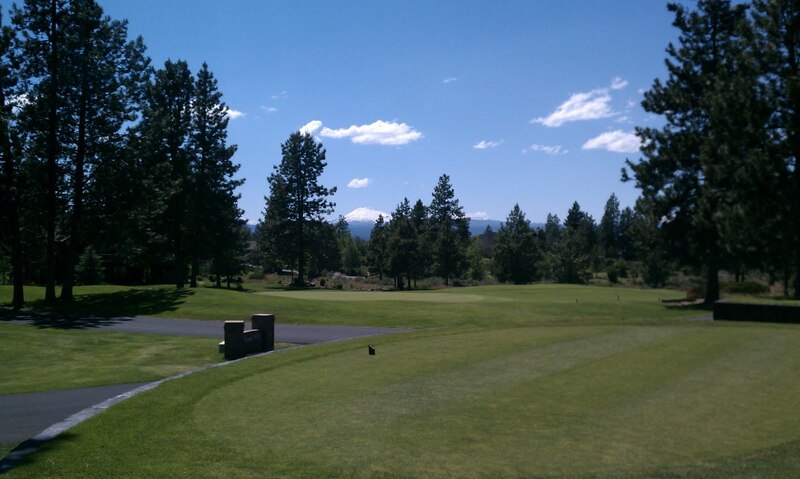 I was fortunate to be able to play 18 holes at Lost Tracks Golf Club this past Saturday. I had never played this course before and was pleasantly surprised by it. The course was in great shape. There are views of the mountains throughout the course. It is probably more accurate to call them “peekaboo views” because the trees often get in the way but they were great views. Our tee time was 12:15. I found out after we got there that their rates drop at noon from $85 (with cart) to $59. I am all about saving $26 if I can. However, I can see where an early tee time on a hot day would be worth the extra money. Fortunately, the weather on this day was nearly perfect. The temperature hovered around 77 the whole time we were on the course and there was a nice breeze (if not a little strong from time to time) to keep us cool. Here is a link to Lost Track Golf rates. When we arrived the driving range was a little crowded and I was concerned that might be an indication of how it would be on the course but I was wrong. We teed off behind a twosome and never saw them again after the second hole. There was a group behind us but they never pushed us. when we got back to the club house a couple employees commented on how they were surprised that the course wasn’t busier. I’m not sure how busy they usually are during the summer but I was a little surprised too considering that it was a holiday weekend (July 4th), the weather was great and there were still two more days before the holiday. My only disappointment with my round of golf was the beverage cart. We saw it once in four hours. They definitely could have made more than $12 dollars off of four thirsty guys and I know we weren’t the only ones playing. I would compare it to to a waitress at a restaurant. Even if you don’t need anything it is nice to know that someone is around in case you do. One of the great things about this course, especially for a hack like me, is that the houses don’t crowd the the fairways and greens. I really don’t like to worry that my next shot is going break a window or knock some old lady tending to her flowers in the head. On this course my biggest concern was wondering if I would be able to find my ball. Another great thing about the spacing of houses in this gated community is that they don’t crowd each other either. You actually have some privacy as the houses are all on one acre or more. 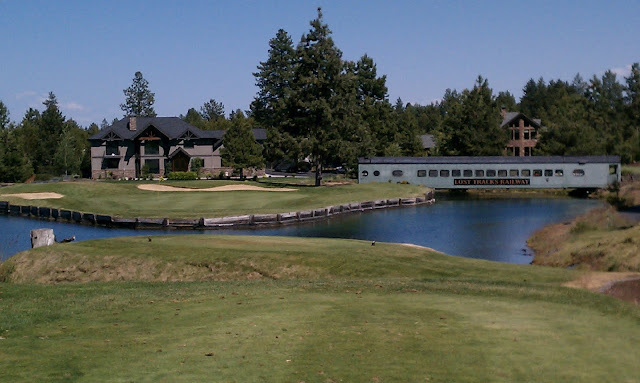 There are even deals to be had on golf communities in Central Oregon. There is currently a 4652 sf. house on 1.7 acres for sale in Sunset View Estates on the 14th fairway of Lost Tracks for $825,000. I know some of you just coughed on your coffee but let me give you some perspective. This house is a short sale. There is another home for sale (not a short sale nor bank owned) in the same development for $2.4 million. That is a pretty steep difference, even taking into account the square footage and acreage. If you would like to take a closer look at either of these houses I would be happy to send you an email with more information. I can also send you information about houses for sale in any of Central Oregon’s golf communities. 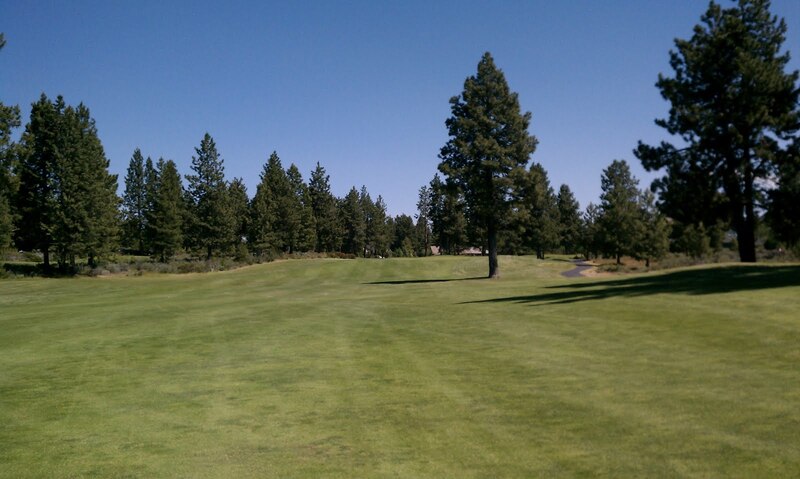 You can see a list of Central Oregon golf communities here. Please keep in mind that my list is not yet complete. Our contact information is available on this page.